Prabhas played the role of Mahendra Baahubali and his son Amrendra in 'Baahubali 2' and has been accolades for his stunning performance in the movie. With 'Baahubali: The Conclusion' creating a stir at the box office, it's lead actor Prabhas has become a household name. The actor, who has played the role of Mahendra Baahubali and his son Amrendra, has been accolades for his stunning performance in the movie. But little did anyone know that Prabhas was not the first choice for the 'Baahubali' franchise. In fact, it was Bollywood actor Hrithik Roshan who was the first choice for the blockbuster. 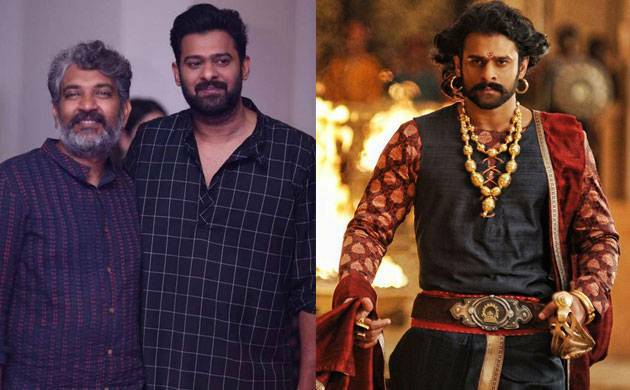 According to the media reports, filmmaker SS Rajamouli wanted to make 'Baahubali' franchise in Hindi first and had approached Hrithik Roshan and John Abraham for the roles of Baahubali and Bhallaldeva respectively. In fact, he had even asked both the actors to givem him some time to narrate the story and even sent the scripts to them. But neither Hrithik nor John showed any interest in the scripts. As a result, Rajamouli roped in Prabhas and Rana Daggubatti for the movie and it has turned out to be miraculous for them. Well, if the reports turned out to be true, Hrithik and John might be regretting to have said no to the franchise as the second instalment of 'Baahubali' franchise is doing wonders at the box office and has shattered all the records. 'Baahubali 2' has not just become the first Indian movie to cross Rs 1000 crore. In fact, it has also entered the coveted Rs 100 crore club is US as well.